We invite New York public high school students from different schools in the five boroughs to participate in this event, beginning with a one-hour tour of the United Nations and followed by a screening of a foreign film and a Q & A discussion where students can ask questions to the actors, directors, producers and Mission delegates from the film’s country of origin. We supply teachers with written literature and handouts for pre and post curriculum about the film, from our text/curriculum, GLOBAL VOICES THROUGH FILM, as well as written information about the United Nations so they can continue their discussion the next day in the classroom. – The population served are New York City high school students, 9th, 10th, 11th and 12th graders. 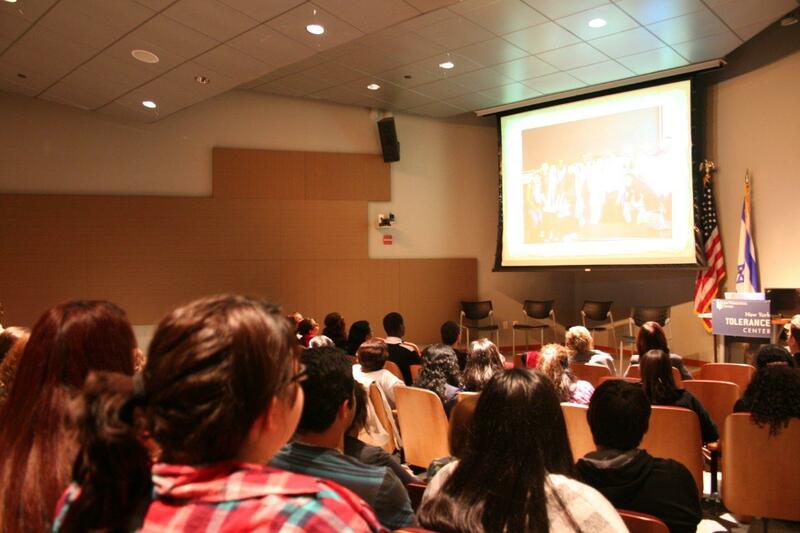 As of date we have had more than 8,000 students from 100 public high schools attend our events. All programs are free to students and schools. – The United Nation’s Tour Desk arranges a tailored-made one-hour private tour of the United Nations for the high school students participating in this program. – The Foreign Missions of the United Nations have been very committed to participate in this program. They send members of the Mission to answer the students’ questions pro bono in the Q & A session, supply films to facilitate the most appropriate selection, and contribute to the curriculum development with material when available. We have had more than 40 Missions participate in this program. – Film companies like Miramax, Fox, Fine Line, Warner and Weinstein Brothers have all offered us with premieres and actors, directors and producers to answer students’ questions. – The public schools of New York City and the students have also been supportive of this program by contributing to the transportation costs, be it to rent a bus or to use public transportation. Students produced PSAs and short documentaries as part of our Student Produced Film Screening Event at the Tolerance Center Museum. Participants included visiting Cherokee students from Sequoyah High School (Oklahoma).